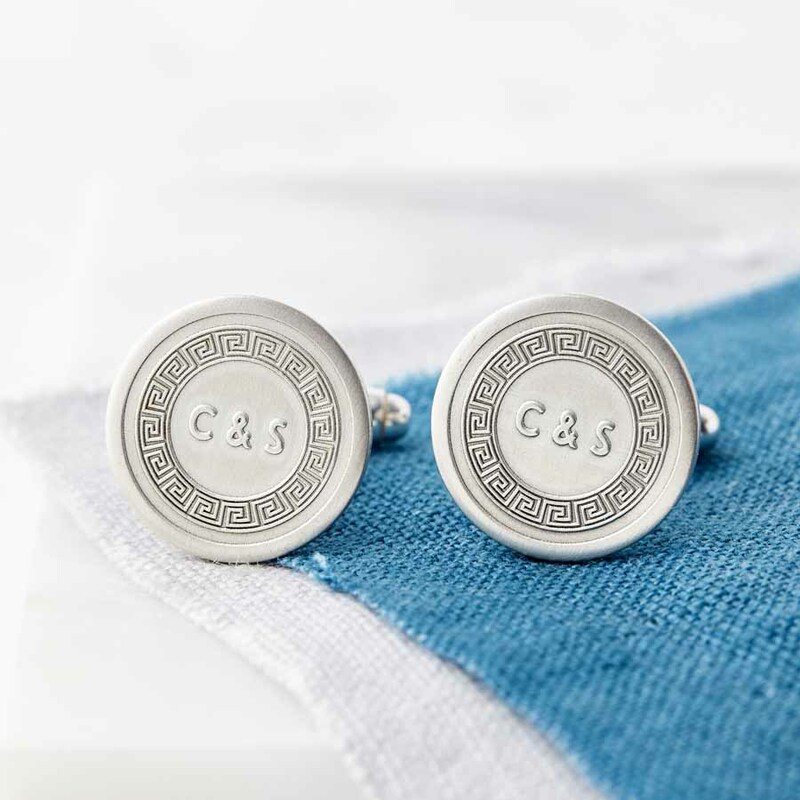 Beautiful handmade solid sterling silver cufflinks etched with initials surrounded by a design that symbolises eternal love, eternal friendship and eternal life. 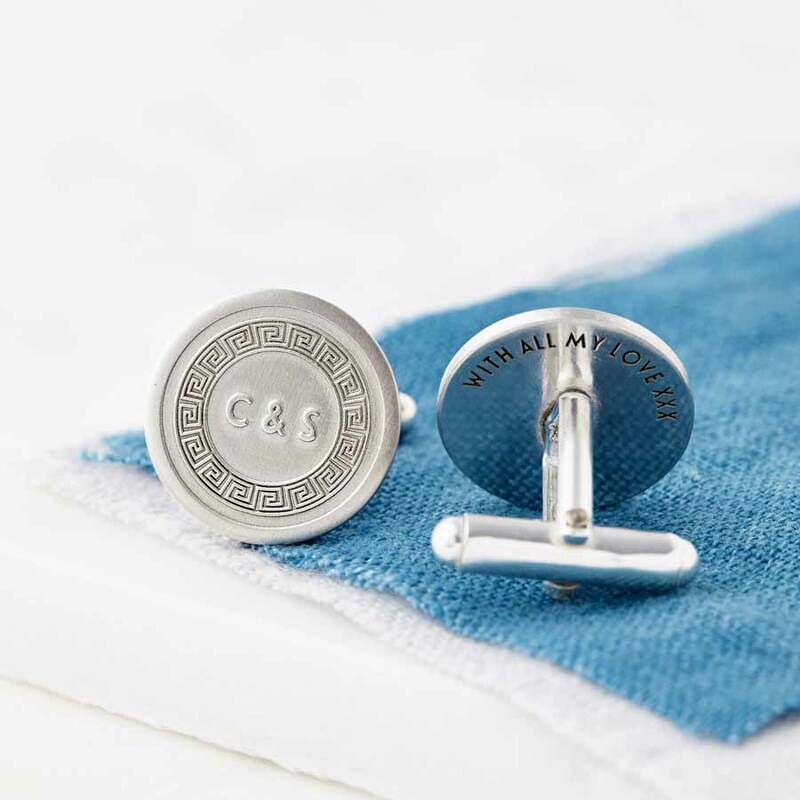 The initials could be the wearers initials, yours and his initials, or perhaps the children’s initials. 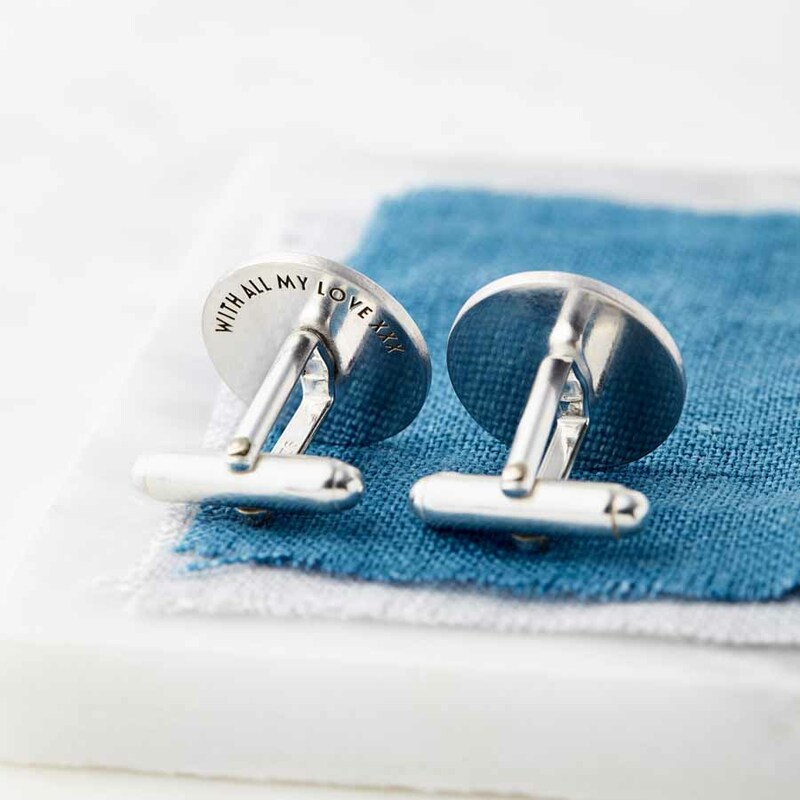 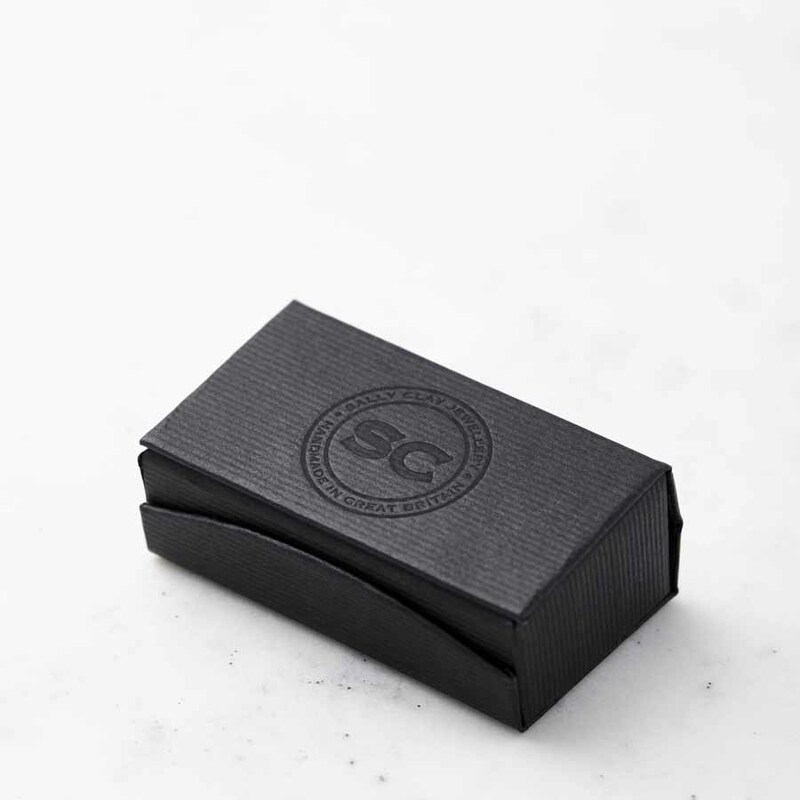 These would make the perfect gift for your groom to wear on your wedding day, or as an anniversary, birthday or Christening gift.